Built on a strong relationship, Mario's trusts KathodeRay to reach a whole new generation of customers. Mario's first hired KathodeRay to help with a few website updates back in 2013. Since then, we continue to develop a growing relationship based on results. Later that year, we implemented a more enhanced website hosted on our redundant servers. and provide company email services as well. We help them reach younger contractors and homeowners cost-effectively with campaigns on Instagram and Facebook, as well as utilizing Houzz to reach people interested in renovating their kitchens and baths. 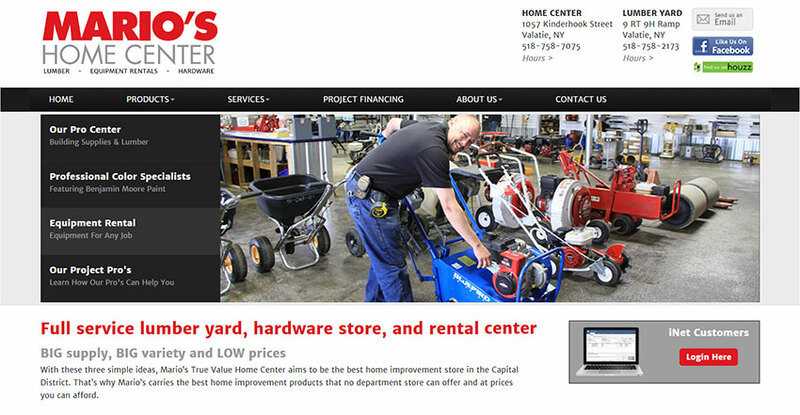 Mario's Home Center offers lumber, hardware AND rental equipment. This is reflected on their website messaging for easy recognition. 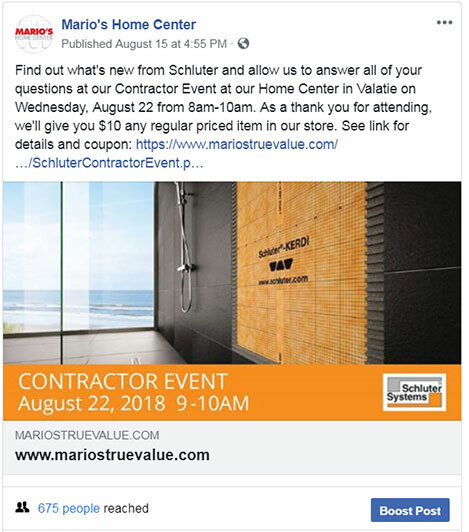 Facebook Posts are useful to promote contractor events held in store. 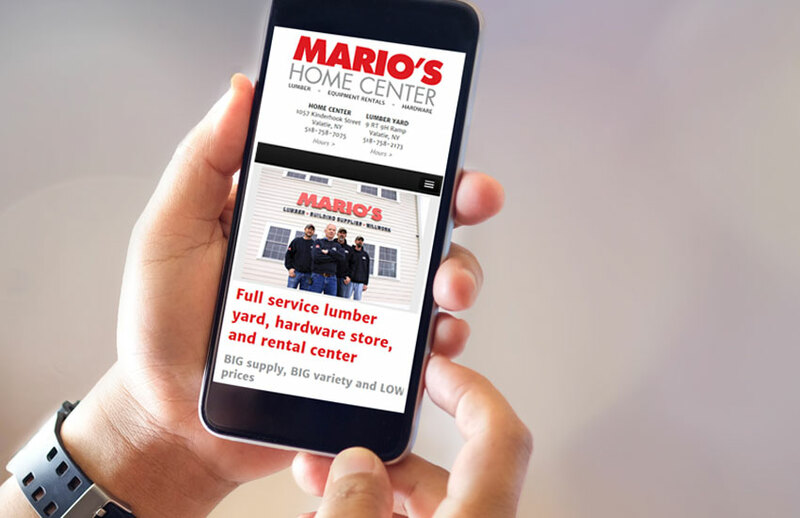 Many of Mario's consistent clients are contractors and busy homeowners. As a result over 50% of their site traffic comes from smart phones.